Stop card prevents write-through to other form sets. Note: A minimum quantity of 50 must be ordered, and in units of 5 thereafter. 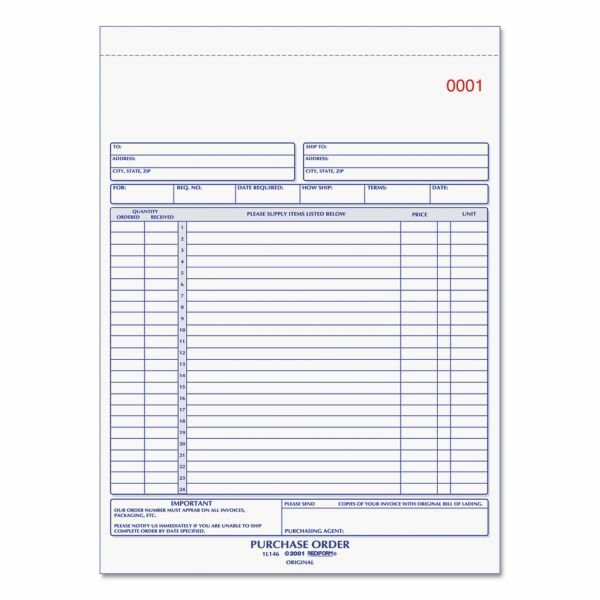 Rediform Purchase Order Book, 8 1/2 x 11, Letter, Two-Part Carbonless, 50 Sets/Book - Carbonless, purchase order forms come in a convenient-size manifold book with a flexible cover. 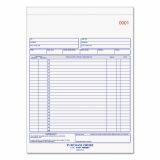 Two-part forms offer ruled space to fill in vital information and item descriptions. Paper sequence is the original in white and the duplicate in canary. Purchase order forms are consecutively numbered. Detached form measures 8-1/2 x 11"."